Chief Hoover has 37 years of experience in law enforcement. He began his career with the San Diego Police Department and retired as Chief of Police of the Reno Police Department. He is a college professor as well as an internationally recognized police trainer. 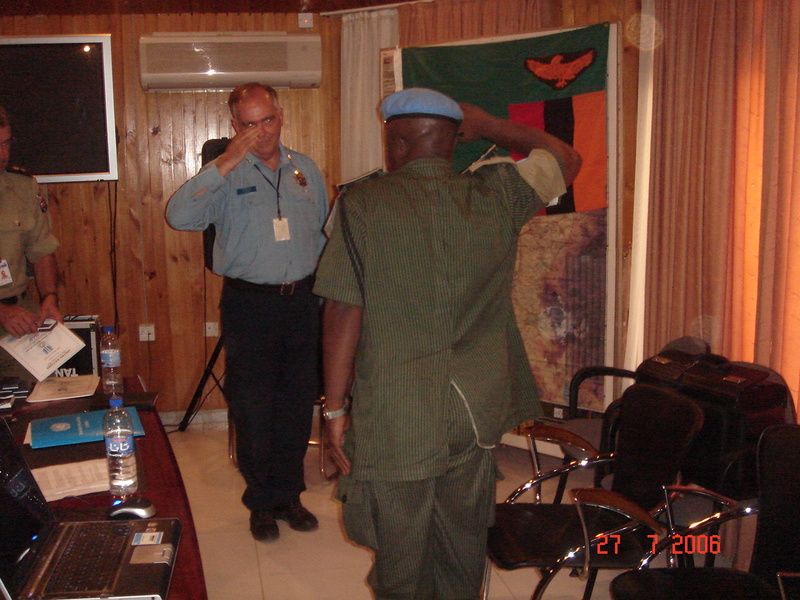 Chief Hoover served as the interim police commissioner for the United Nations Police in Sudan where he commanded 715 international officers from 42 different nations. At the time, he was only the second American police officer to hold that high of a rank with the United Nations Police. Chief Hoover also served as a Senior Police Advisor for the US Department of State in Iraq where he led an assessment team of police experts to study the Iraqi Police Services and the Coalition efforts to train them. He later served as the Principal Deputy Program Manager for DynCorp International in Afghanistan and was responsible for the U.S. State and Defense Departments’ efforts to train the Afghan Police. 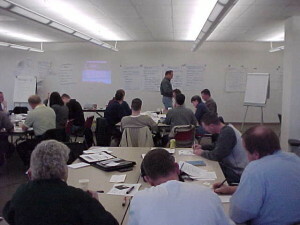 Jerry Hoover has more than 35 years of experience in both the San Jose and Reno Models of field training programs. He has taught 130 seminars on both models to police agencies from 29 states and is a national speaker on police training and leadership topics. 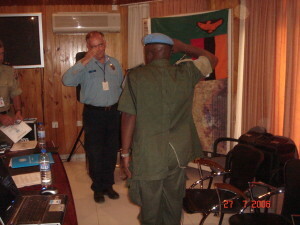 He has also provided training and presented on various topics to police in New Zealand, Botswana, Nepal, and Sudan. He also teaches classes on terrorism and leadership at the University of Nevada. Education: Harvard University, Master in Public Administration (emphases: Crime and Criminal Justice; International Affairs and Security); Colorado State University, Master of Arts in Anthropology (emphases: Cultural Anthropology; Forensic Anthropology); San Diego State University, BA Anthropology; University of Nevada, post-graduate studies (emphasis: Anthropology of Terrorism); University of Wales (England), Graduate Diploma Cultural Astronomy. Jerry is also a graduate of the Law Enforcement Executive Development Seminar (LEEDS) at the FBI National Academy. Mr. Hoover served in the U.S. Army’s 101st Airborne Division. His brigade was one of the first Army units to be deployed to Vietnam in 1965 (the remainder of the division deployed two years later). Stephen Pitts retired in 2015 as the Chief of Police of the Reno Police Department. He served with the Richmond, California, Police Department before coming to Reno in 1979. Steve has worked all assignments in his law enforcement career, including S.W.A.T., Gang Unit, Homicide, and PTO Commander. Steve has international experience training and consulting with the Singapore Police. 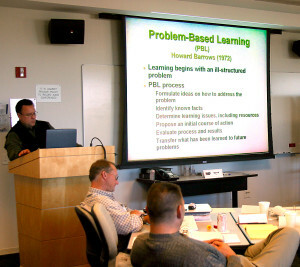 Steve graduated from the Senior Management Institute for Police (SMIP) and the Kennedy School of Government’s Leadership Program at Harvard University. Steve has a Bachelor’s Degree from Long Beach State University, a Master of Public Administration from Golden Gate University, and a second Master’s Degree at the Naval Post Graduate School in Homeland Security. Steve is also a graduate of the FBI National Academy. Steve is one of the original designers of the Reno Model and was responsible for much of the original test site training. Steve is also a qualified S.W.A.T. instructor. David Ponte was the original PTO Coordinator for the Reno Police Department’s training program. Dave has been with the Reno Police Department for more than twenty years and was the president of the Reno Police Protective Association. He is one of the original designers of the Reno Model and was responsible for much of the original test site training. Dave is one of the few people in law enforcement with program coordinator experience in both the San Jose and Reno Models. Dave has an Associate’s Degree in Criminal Justice and has completed training on the Harvard model of leadership conducted by Marty Linsky. He is also a graduate of Peter Senge’s Fifth Discipline program at MIT. Clair Walker retired in 2014 as a Sergeant with the Boise Police Department. Clair began his police career in 1990. Clair was the FTO and PTO coordinator for Boise P. D. and has considerable experience in program design and management. He has a Bachelor’s degree in Political Science and Economics from the University of Idaho and is currently pursuing his Masters Degree in Adult/Organizational Learning and Leadership, also at the University of Idaho. Tom Wickman is the Chief of Police in Frisco, Colorado. He began his police career in 1977 and has previously served with the Boulder and Denver Police departments. Tom led the investigation into one of the most publicized child-murders of the 20th Century. He holds a Bachelor’s degree in Political Science from Kalamazoo College and a Master’s degree in Psychology from Leslie College. Tom is a graduate of the FBI National Academy. Tom is also an instructor on high profile investigations at the FBI Academy and is a qualified S.W.A.T. instructor.